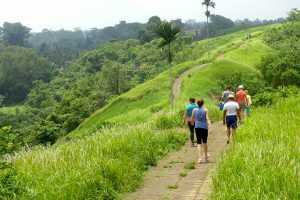 Bali Trekking Tour is Bali Activities Tour package to feel the exicting way to enjoy the beauty of the nature in Bali. 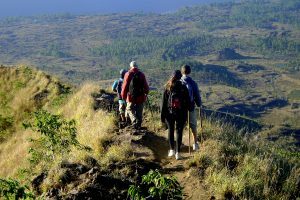 Bali Trekking Tour offer wide range of treeking tour program such as : Balinese Village Trekking Tour, Bali Jungle Trekking Tour and Bali Mountain Trekking Tour. 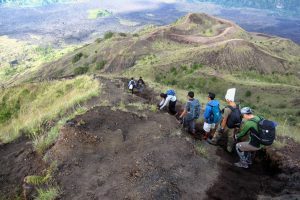 Our services give you fantastic journey to exploration interesting place in Bali, uniqueness cultures and its traditions. 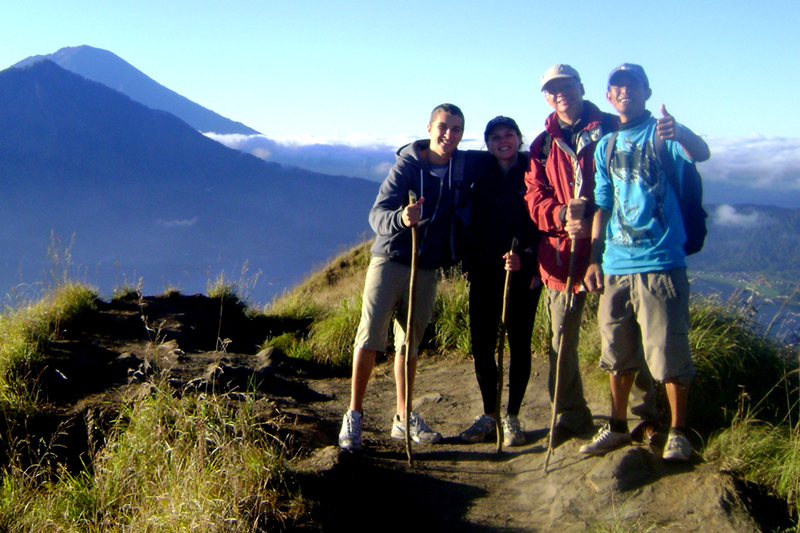 We like to engage you to experiencing the beauties of Bali with amazing trip. Bali Trekking Tour will give you the great adventures, the place where you may find a peaceful mind as you staring the atmosphere of the surrounding green forest, lake, ocean, together in one on your vision. See the beautiful sunrise from the mountain during Bali Trekking Tour and see the beautiful Bali jungle, Viisit Balinese home residence and enjoy the amazing and beautiful verdant rice paddy which will make this experience memorable one during your holiday in Bali Island. 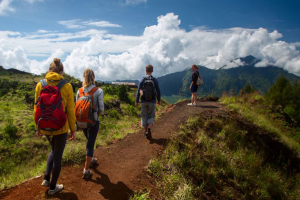 Bali Tour guide will assist you during the hike up and explain all information about places with visit during trekking trip adventure and about Bali island culture and any other information you need. 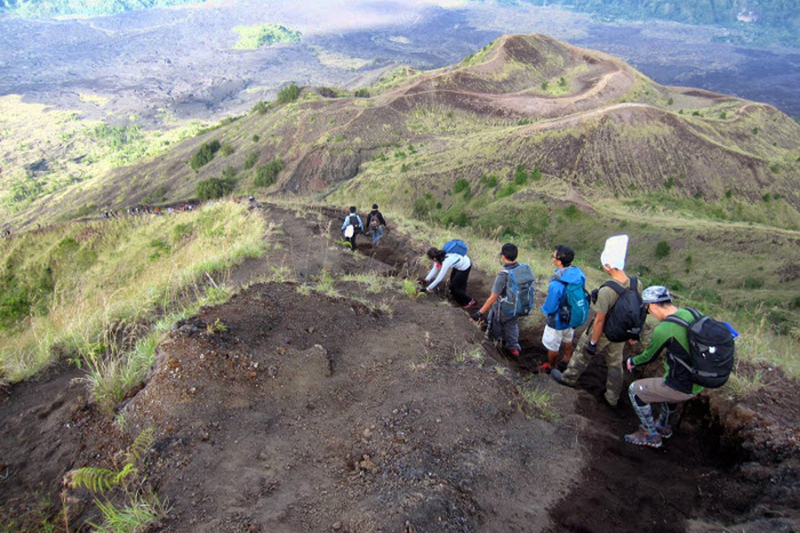 Welcome to a triple treat trekking experience! 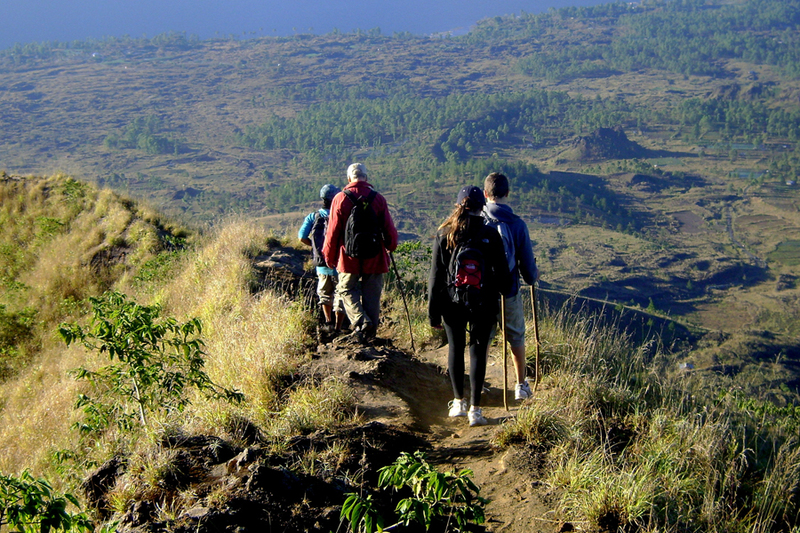 Our newly combined trekking option is really an exclusive experience. The new tour begins with a drive through the Gianyar Regency passing the ‘real’ wood carving area of Tegalalang until the starting point in the highlands of Taro.Exclusive to Bali Adventure Tours, our trek takes visitors through Taro, one of the oldest Hindu Villages in Central Balidating back some 3000-4000 years. Taro is steeped in tradition and culture where rural life is seen as unchanged for a thousand years. The isolated village boasts the oldest Temple structure on the island of Bali and is also home to the famed Sacred White Cows that are rare to the island. Wander through a Bamboo Forest and see the timeless routine of planting and harvesting rice from the endless stretches of emerald green Rice Paddy fields unfolding before you. 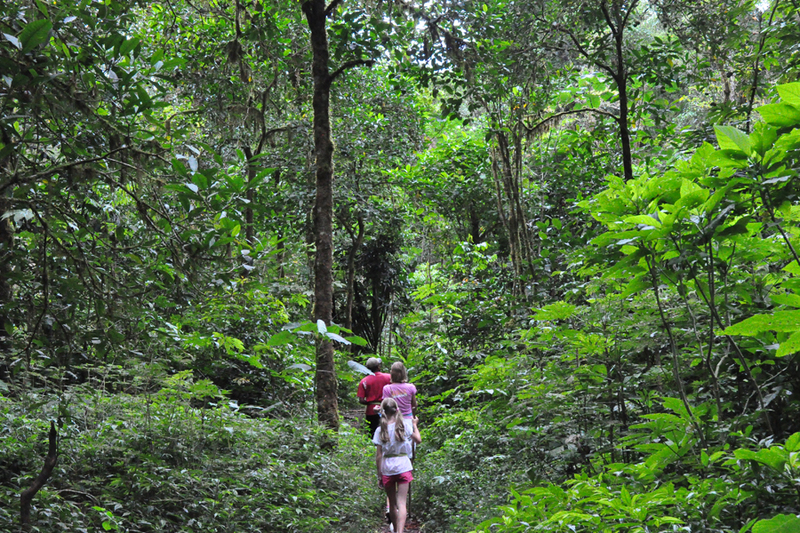 Trek guides introduce flora and fauna throughout the tour, including King & Queen palm trees, ferns, wild orchids, hanging liana and a variety of birds such as the Java Kingfisher, Black Bali Starling and even squirrels! The 2½ hour trek includes an exclusive passage directly through the spectacular Elephant Safari Park where majestic and endangered Sumatran Elephants meander by within inches of your trail. En route agricultural plantations of coffee, coconut, and palm can be seen, and tropical fruits such as salak, durian, jackfruit, papaya, oranges, mandarin, mangoes, mangostene, plus you can sample spices such as cinnamon, ginger, and turmeric direct from their natural source. Lunch is served in the safari inspired coconut and teak wood open-air restaurant overlooking the bathing lake of the Elephant Safari Park before a return drive south through the unspoiled Balinese countryside. Start from famous “Sangeh Monkey Forest” follow the farmers track through rice filed. The area offer a change to see traditional Balinese life and nature. 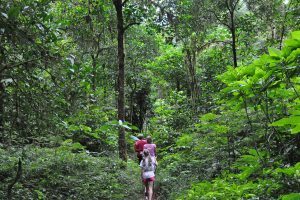 Magnificent flora and fauna, tropical birds and animals, explore old nature cave, skirting the “Penet River Valery” and enjoy our special refreshment. Visit traditional Balinese Village and how to Plaint Pandan mat. – Lunch box & cold drink.